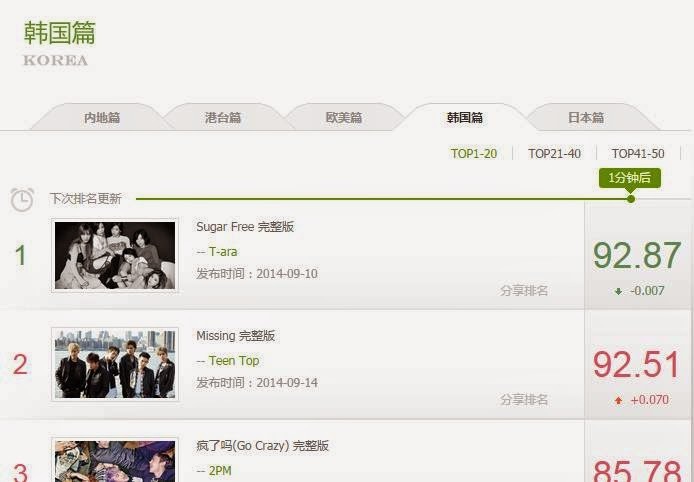 Home » T-Ara » T-ara's 'Sugar Free' MV tops YinYueTai's Korea MV chart! T-ara's 'Sugar Free' MV tops YinYueTai's Korea MV chart! T-ara's 'Sugar Free' MV continues to receive a warm response from their international fans, specially from their Chinese fans! Since its release, T-ara's MV has been breaking records and to that, CCM added, "'Sugar Free' was released on the 10th. There was a lot of interest in the MV, and it's been #1 on China's biggest MV site 'YinYueTai' for 6 days." Meanwhile, the three versions of T-ara's 'Sugar Free' MV have already accumulated more than a million views in total. The party continues! Congratulations T-ara!